At least once a week during the summer of 1983, I rode a city bus to downtown Toledo to visit the Abbey Road record store. At 17, I was at the zenith of my love for record collecting, but I would walk past the new releases to check the torn-out Billboard pages tacked over the singles bin. When “Every Breath You Take” exploded in the summer of 1983, I followed its chart progress like a sports fan rooting for a team’s pennant chase. I still remember the numbers: A debut at #36, a jump to #24, a leap to #12, a move to #5, then an 8-week run at #1 that made me feel as triumphant as if I had written the song myself. No song dominates the memory like a summer song, and to this day, hearing the pistol-shot opening of “Every Breath You Take” takes me back to the summer of 1983. Guitarist Andy Summers and drummer Stewart Copeland were as tight a rhythm section as any rock band of their time, but on this single (which echoes the chord progression of the band’s “Invisible Sun”), their playing transcends their individual efforts and gels with Sting’s bass to create a liquid, rolling setting for the cool, obsessive vocal. The record exposed The Police to its widest possible audience. It charted on Urban and Black stations, and ignited sales of its parent album, Synchronicity, which remained #1 for 17 weeks. During its 17-week reign, Michael Jackson’s Thriller was #2. Sting has revisited the song several times, lyrically on “Love is the Seventh Wave” and “If I Ever Lose My Faith in You,” and on recordings on acoustic and live versions. He also recorded a version with Robert Downey, Jr., for an “Ally McBeal” soundtrack album in the late 1990s. At the loftier end of the television spectrum, “The Sopranos” began its third season with FBI agents monitoring Tony Soprano’s every step. A seamless and inspired editing of “Every Breath You Take” and the Henry Mancini twang-fest “Theme from Peter Gunn” graced the soundtrack when the agents appeared. That mix, by “Mr. Ruggerio,” is featured on the Sopranos Soundtrack Peppers and Eggs. 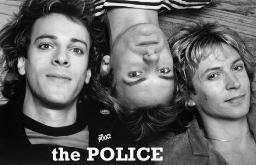 As long as people listen to radios, The Police will surface with this song, always watching you.